The modern computer is so powerful that a casual knowledge of programming suffices for most of its users. However, a variety of circumstances can abruptly require a much deeper understanding: the need to structure a program carefully to avoid being overwhelmed by its complexity, the need to insure reliability beyond what can he achieved by debugging, or the need to utilize computing resources efficiently. 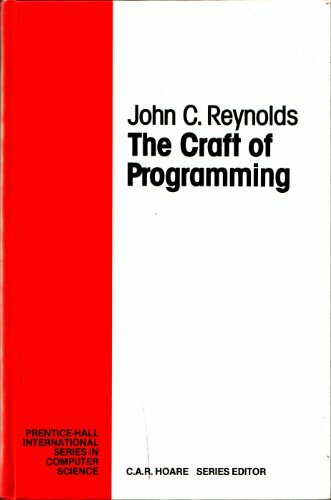 Beyond such practical considerations, there is an inherent intellectual satisfaction in mastering the fundamental concepts of programming. The aim of this book is to provide such mastery concept by concept. For example, the reader is expected to understand proofs of correctness and order-of-magnitude time requirements for simple integer algorithms - such as log n exponentiation - before the concept of arrays is introduced. A similarly thorough understanding of array manipulating algorithms is expected before the introduction of procedures.